Rotork fully accepts the challenge to improve our levels of women across the business and we are taking positive steps to address this. The distribution of male to female within each quartile reflects the engineering and manufacturing industries and the low levels of women who enter the industry at all levels. Within the UK only 9% of Engineers are women and in UK Manufacturing only 23% of the total workforce are women, this is further highlighted with only 7% of manufacturing apprentices being female and a high drop-out rate of young women in STEM subjects. This leads to a difficult climate for recruiting and retaining women at all levels of our business due to the lack of available, trained women, and the intense competition for those who are within the sector. 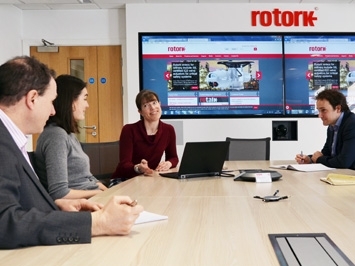 However, Rotork recognise that there is much work that can be done to improve this we have prioritised for the next three years actions to tackle this challenge head-on, enable us to improve our position and make us an employer of choice for women.